My friends Wildwood Revival are hosting their inaugural happening this month. They were sweet enough to give us a pair of tickets to give away. Full event info is below. Stay with me til the bottom of the post for entry rules, and ready your camping gear. If you don't want to leave it up to chance, tickets are still available here, but going fast! Wildwood Revival's inaugural music festival will be held on July 19 featuring The Whigs, The Whiskey Gentry, JP Harris & The Tough Choices, Rolling Nowhere, The Deslondes and Banditos. Just 15 minutes from downtown Athens, this Americana-style festival will be held at the idyllic 35 acre Cloverleaf Farm. Wildwood Revival is a unique, one-day festival celebrating music and southern culture where guests can get off the grid. This event combines the camaraderie of a supper club, the soul of a juke joint, and the wild spirit of a honky tonk. It's a cultural revival; what's old is new again. The performances will take place under an open-air, fully renovated tin roof barn; a night of amazing music in an intimate setting. Guests will enjoy a hearty, farm-to-table supper with local, seasonal food to be perfectly paired with the first sip of cold Georgia brew provided by Terrapin Beer Co. and gourmet popsicles by King of Pops. After a night of merrymaking, watch the sun rise over the pasture with a cup of 1000 Faces coffee in hand. Wildwood's artist market will feature vintage clothing and rustic, antique goods brought to you by one of our region's favorite pickers, Atlanta Vintage Clothing. If you feel like lounging in the shade, grab a handmade outdoor Waller Hammock. Guests will also have the opportunity to get an 1800's era tintype portrait by Kendra Elise using an individually hand-crafted technique - one of the oldest ways to create a photograph. With pasture and wooded camping by tipi, tent or vintage Airstream, guests from both Athens and beyond are encouraged to stay the evening under a canopy of stars and bring guitars etc. for post-show, late-night pickin' around a bonfire. In a way, Wildwood Revival is a festival for people who don’t like festivals. Attendees can come without fearing greasy carnival food and expensive bottled water, long lines, port-o-potties, and being sandwiched between a sea of wasted youngsters. It’s a boutique festival offering delicious food, free filtered water, and clean outdoor restroom facilities. It’s an intimate environment to see a favorite band, all set against a serene, country backdrop. Tickets may be purchased at www.wildwoodrevival.com for $38. Only 400 tickets are available. 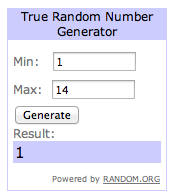 I'll use Random.org to select a commenter Saturday July 12. Woo, yeah! I know the drawing is random, but this would be a great way to spend my birthday weekend! What a nice festival it is! I really like this.Keep up the good work you are doing here. Thank you for sharing such a useful post. Thanks for the opportunity to win a ticket. This sounds like a beautiful concept and hopefully is the model of future festivals (on the large scale)! Looks like an awesome one-day festival. Very cool event. (mollykberg@gmail.com). Looks like this will be a stellar event! I hope to win !